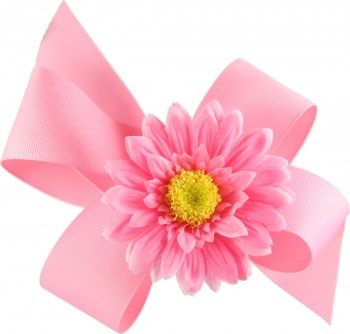 This Pink Boutique hair bow is the perfect base for the Pink Daisy. The daisy can slide on and off your Pink Boutique hair bow because it is attached to it's own alligator clip. The base bow is a 1.5" pink grosgrain ribbon on a french clip. So this 2 pieces combined to make one, each can be worn separate, or shown as above.